We like to pride ourselves on being the most sought after moving company nationwide. Not only for our high-tech moving equipment but our constantly updated fleet of moving trucks that is equipped for any move. From homes to businesses we have a team that is dedicated to helping people pack up their possessions in a meticulous and thoughtful way. 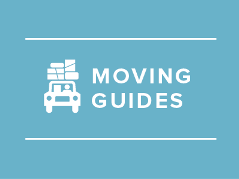 As someone who is looking for a mover you want the peace of mind knowing they are licensed and held to a good code of conduct. We provide that for you to put you at ease on that next move. When you hire a moving company you want a team of movers that know how to do the job and have been doing the job for many years. They need to be experienced and quick on their feet to relocate boxes and furniture to the truck with care and due diligence. Our company only has the best staff working for us and we like to make sure they continue to get training to provide you with a better and better service each time. Gone are the days of having to wait a few days to get a moving quote, we get everything done instantly with our knowledgeable dispatcher. You can fill out the quote page online or call to speak with a member of staff. We provide the experts and you provide the furniture and items to be packed. We also can supply boxes and packing material to you along with tips that will help make the experience seamless. Because we have newly outfitted trucks that are fuel efficient it means our cost per mile is now much cheaper, which means we can pass on them savings to you. So not only are we now more efficient we are an environmentally greener company for it. Should you need a moving dispatcher to come out and give you an in home estimate on the amount of stuff you have we now offer that service. The dispatcher can answer any concerns you might have and look at any objects you think might be too awkward to move.